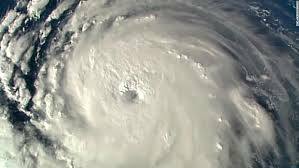 Yet despite such uncertainty, there’s little doubt that hurricane prediction and tracking have gotten better in recent years — in part because of the availability of new satellites and the use of drones that can fly into severe weather in ways that are impossible with crewed aircraft. In “Climate Leadership in Uncertain Times,” authors Joshua Busby and Nigel Purvis argue that international climate cooperation continues to have promise and potential, even in the current political climate. The authors lay out a comprehensive view of climate leadership, examining climate policy in the United States under President Trump, the potential for climate leadership around the world, best practices for pursuing change, and areas to target for effective cooperation and maximum impact. In the wake of turbulence in efforts to address climate change and the current absence of US federal leadership, it is important for motivated states and actors to identify a handful of high-impact areas where progress can be made and work to specifically address them. Meant as the start of a broader and more in-depth conversation, this report suggests areas which may have the most potential for progress and urges cooperation and creativity to arrive at interdisciplinary approaches to our common problems. Despite uncertainty, the authors are hopeful that international diplomacy can help increase global ambition in the coming years and lead to significant change. The Ranch Fire broke out sometime on the morning of Friday, July 27th, east of Ukiah, California, in Mendocino County. Extreme heat and windy weather made the blaze difficult to fight; by early Sunday, it had spread to thirteen thousand acres, and by the end of the following week it had burned a hundred and fifteen thousand acres. That weekend, it jumped four streams, a major road, and a fire line that had been cut by a bulldozer, and in the process it spread to another hundred thousand acres. By August 12th, it had become the largest wildfire in California’s history, and by the time it was mostly contained, last week, it had charred more than six hundred square miles, an area twice the size of New York City. Yoder, 71, is deputy director of the county’s water and sewer department; his job is to think about how to defend the county’s fresh drinking water against the effects of climate change. A large man with an ambling gait, Yoder exudes the calm of somebody who’s lived with bad news for a long time. “We have a very delicate balance in a highly managed system,” he said in his rumbly voice. Individual cities, regions and businesses across the globe are banding together determinedly to confront climate change – but their emissions reductions are relatively small and don’t fully compensate for a recalcitrant US under the Trump administration, a new study has found. A cavalcade of city mayors, regional government representatives and business executives from around the world will convene in San Francisco next month for a major summit touting the role of action beyond national governments to stave off the worst impacts of climate change. But the greenhouse gas cuts offered up by these entities are relatively modest, according to new research, placing the onus on nations to raise their ambitions even as the US, the world’s second largest emitter, looks to exit the landmark Paris climate agreement. A deep political divide runs through American politics. It’s a gap stretching from a place where talk of sea level rise ends and conversation about climate change begins. While sea level rise is a subject most lawmakers are willing to at least touch upon, the topic of climate change is either ignored or ridiculed in many corners of Tallahassee and Washington. Long-time Republican strategist Mac Stipanovich, who splits his time between Tallahassee and Destin, lays climate change “denialism” squarely at the feet of the party he represents. “Denying climate change has become a part of the right-wing Republican dogma, just like Second Amendment absolutism and lower taxes in all cases,” Stipanovich said.